Home Accents Holiday 7.5 ft. Pre-Lit Wesley Pine Quick Set Christmas Tree with Multi-Color Lights , Avi Depot=Much More Value For Your Money! 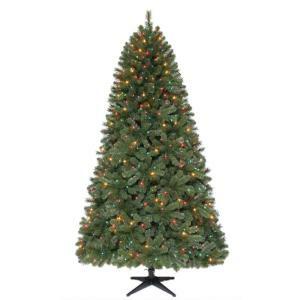 Decorated your living room with our festive 7.5 ft. Pre-Lit Wesley Full Pine Quick Set Tree. No more confusing light plugs to find and plug in. Light plugs are located inside the tree pole for quick and easy assembly. Set up and light up your tree in less than 5 minutes.